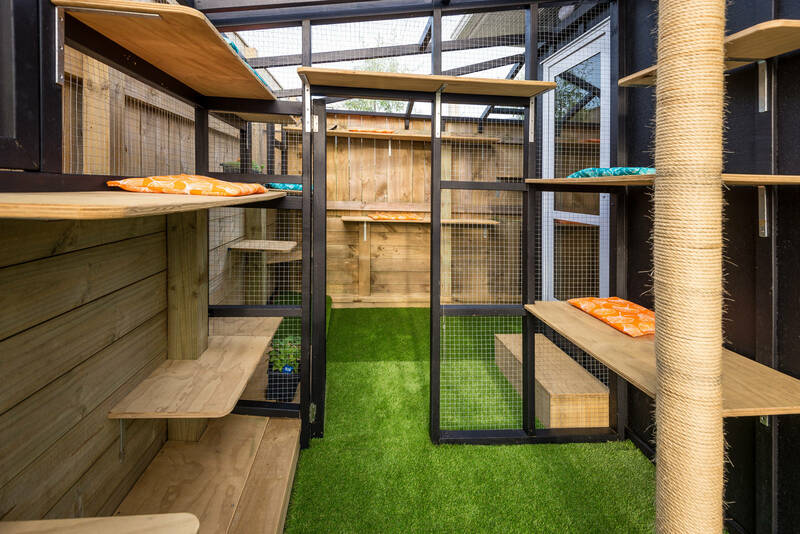 Your cat will receive loving care and attention from Andrea Collins, the owner of this new purpose built, very safe, secure and luxurious cattery. As well as being a pet lover and long term owner of cats, Andrea has over 20 years experience working with animals. The majority of that time included managing the North Taranaki SPCA and working as an SPCA inspector. 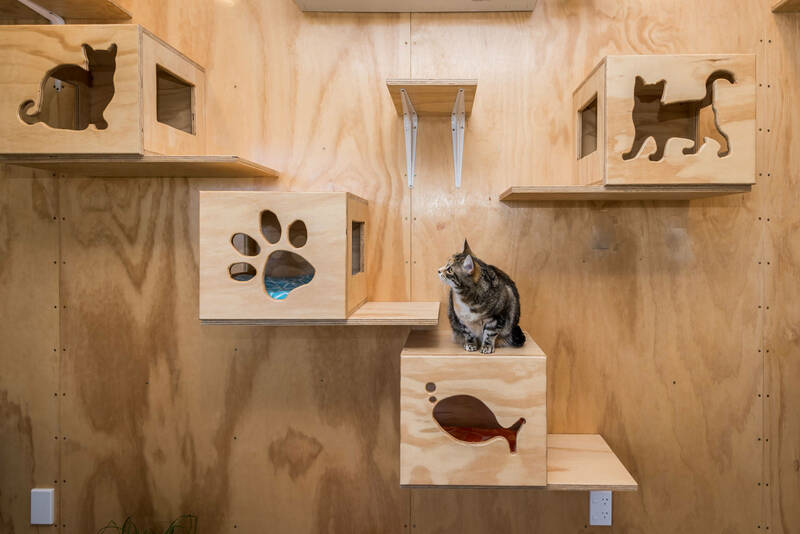 This extensive knowledge and experience in Animal Welfare, Animal Management and Animal Care combined with a lifelong love of animals means your cat will be well cared for with its welfare a priority. The care of animals and their well being is Andrea’s passion. 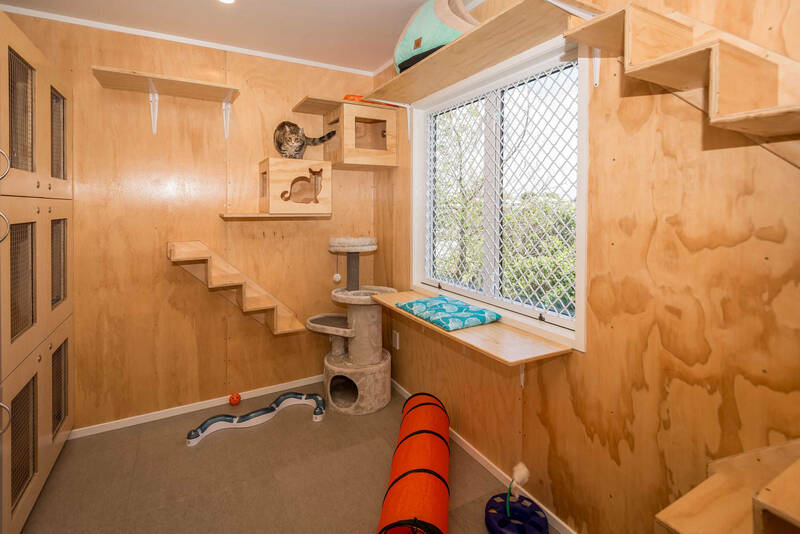 As a result she has made sure this cattery has been built to the highest residential standards to ensure that your beloved cat will have a warm, secure and comfortable holiday with the very best of care, attention and accommodation available. If your cat has special needs, has a chronic illness or is elderly please contact us as we are skilled in caring for individual needs. 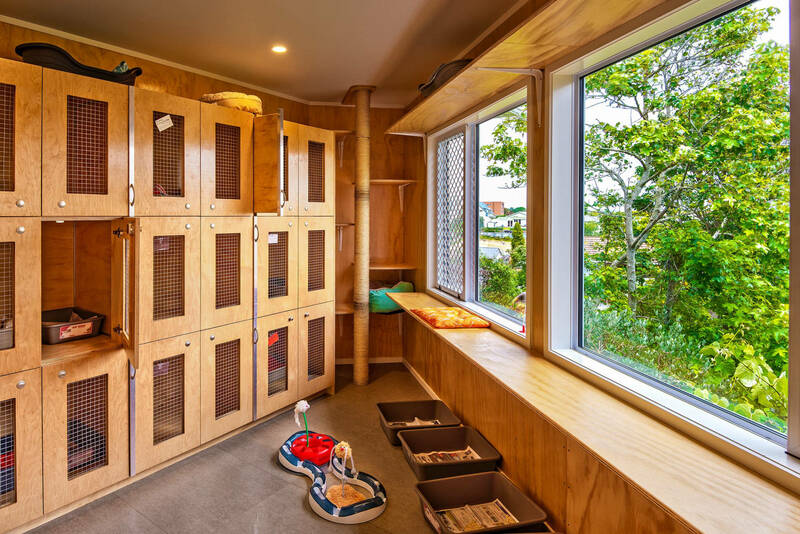 Your cat’s health and wellbeing will be monitored closely during their stay. If your cat becomes unwell we will ensure they receive appropriate veterinary care.